Update 6:58 p.m. The Kansas Highway Patrol reports that 26-year-old Flight Instructor Lucas Campbell of Great Bend was declared deceased at Great Bend Regional at 2:20 p.m. KHP says that the crash was caused when the aircraft was flying south across the airport at a very slow rate of speed, and when the aircraft elevated; it nose-dived and collided with the ground. 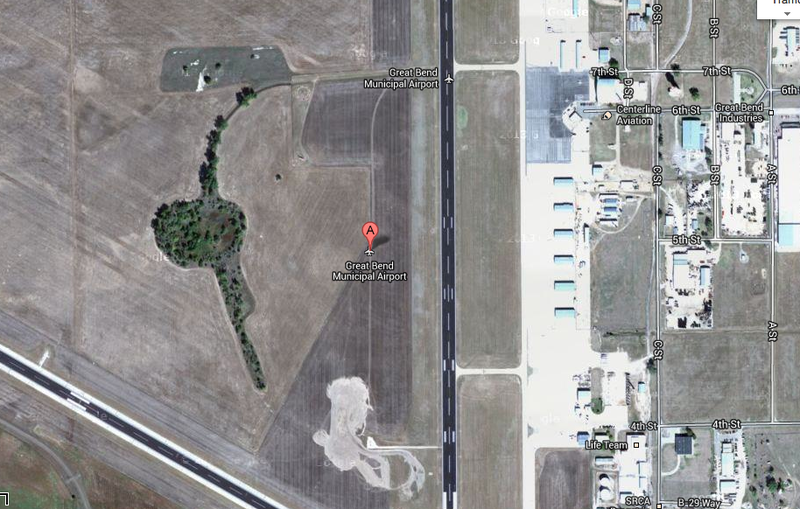 4:20 p.m. update Sources at Great Bend regional airport have confirmed the pilot has died. No name has been released. A view of Great Bend Regional Airport from above. Click on the picture for a closer look.between the taxi area and the runaway. The pilot was taken to Great Bend Regional Hospital. His condition has not been confirmed. The Kansas Highway patrol, city of Great Bend Police & Fire and the Barton County Sheriff’s office responded to the crash. 2p.m. 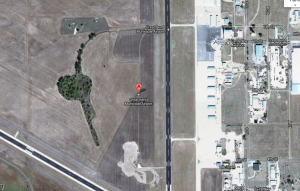 One person has been injured in a plane crash at the Great Bend airport this afternoon. Hays Post has spoken to officials in Barton County and will have additional details as they become available.